"No more messy, goopy pecan pie! These cupcakes have the flavor of pecan pie without the mess or silverware to clean up!" Preheat oven to 350 degrees F (175 degrees C). Spray a non-stick mini-muffin pan with floured cooking spray. Stir chopped pecans, brown sugar, flour, melted butter, and eggs together in a bowl. 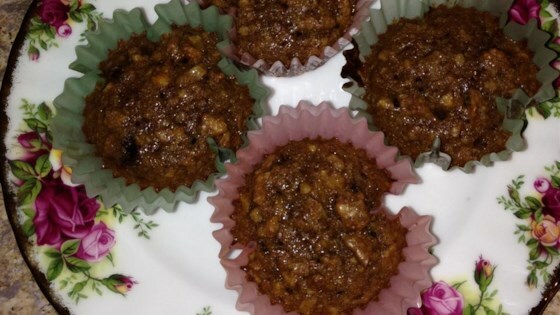 Spoon pecan mixture into prepared muffin cups and place 1 whole pecan in the center of each. Bake in the preheated oven until a toothpick inserted in the center of a cupcake comes out clean, about 18 minutes. Transfer cupcakes to a wire rack to cool completely, about 1 hour. I added 1/2 teaspoon vanilla. I'm sure they're great without it though!